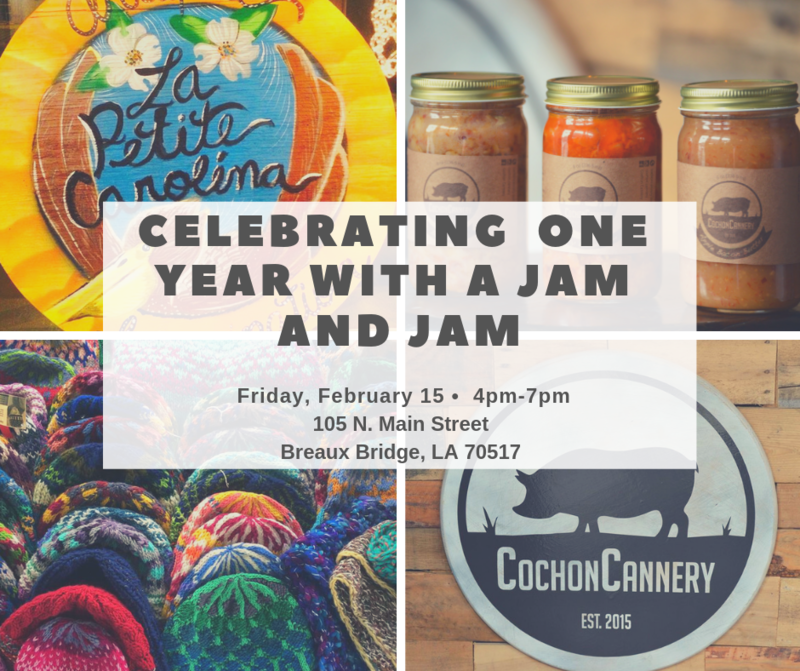 Come celebrate with Cochon Cannery and La Petite Carolina for our One Year Anniversary downtown Breaux Bridge! We will have snacks, drinks, and live music....... La Petite will be hosting an Old Time Jam along with Cochon Cannery's Bacon Jam. We would like to thank all our great customers, family, and friends for helping us accomplish wonderful things this year! We could not have done this without you!